Chances are, you have heard of Twitter, the micro-blogging service that has become wildly popular. In every sphere, including the life sciences, Twitter has attracted a large and diverse audience. 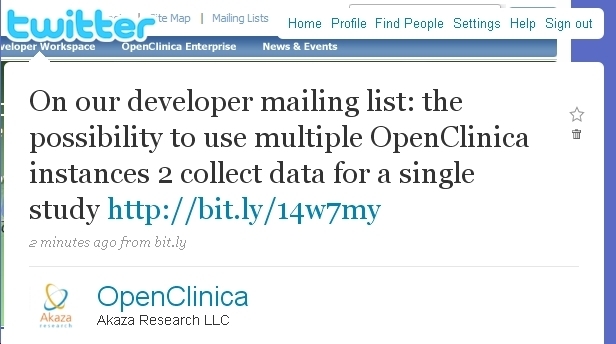 OpenClinica now operates its own Twitter account (@OpenClinica) since late spring, and in that time we’ve used it to connect with users, reach out to new people, and circulate relevant content from around the Web. And many more individuals and organizations. We invite you to follow us there and also follow us on our LinkedIn group, where we can start new conversations and continue old ones.